Woodhaven Lakes residents allowed into tornado-damaged campground in Sublette, Ill. Residents who live at the Woodhaven Lakes Campground in Sublette were allowed back inside Saturday, after a tornado outbreak hit north central Illinois early last week. 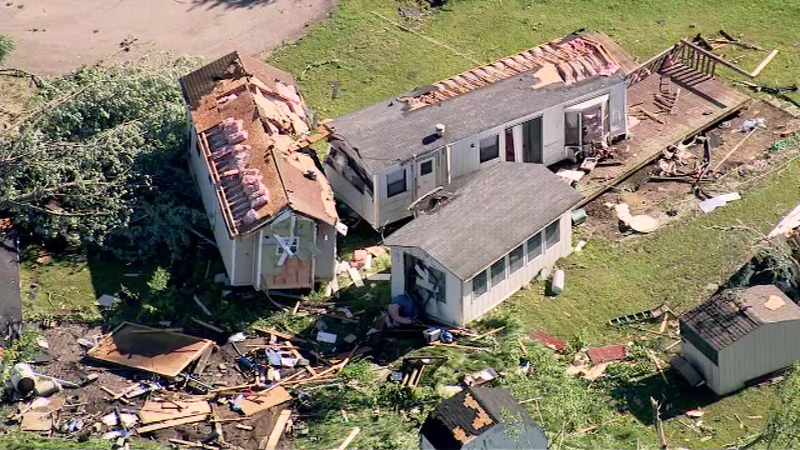 SUBLETTE, Ill. (WLS) -- Residents who live at the Woodhaven Lakes Campground in Sublette were allowed back inside Saturday, after a tornado outbreak hit north central Illinois early last week. 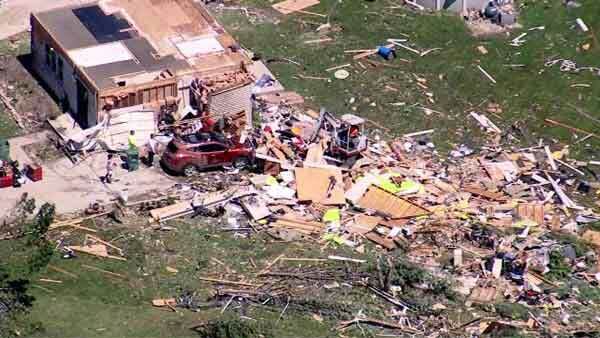 Damage has been reported across the Chicago area as strong storms moved through and tornadoes touched down on Monday. The campground residents were shuttled in by buses so they could get a look at their damaged property. The campground had been closed since the tornado carved a path of destruction on Monday.